Most people have that holiday recipe. The tried and true pie, cookie or cake that, like clockwork, goes in the oven and makes its way to the party every year. 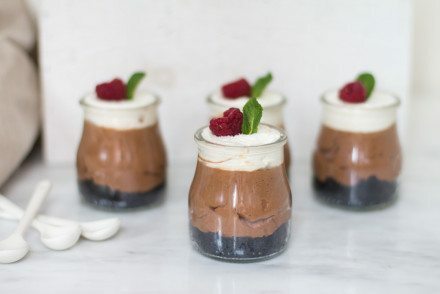 Without fail, it has party guests inquiring “where can I get that recipe!?”. 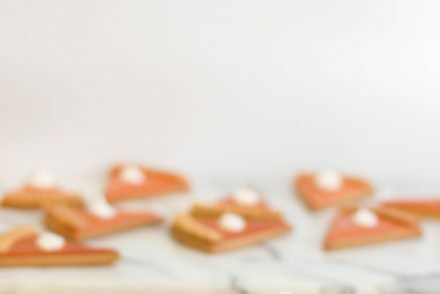 Admittedly, I have always wanted to be that person that toted along with her a signature holiday recipe, but I’ve never found one that I wanted to whip up and bring to all the holiday occasions. 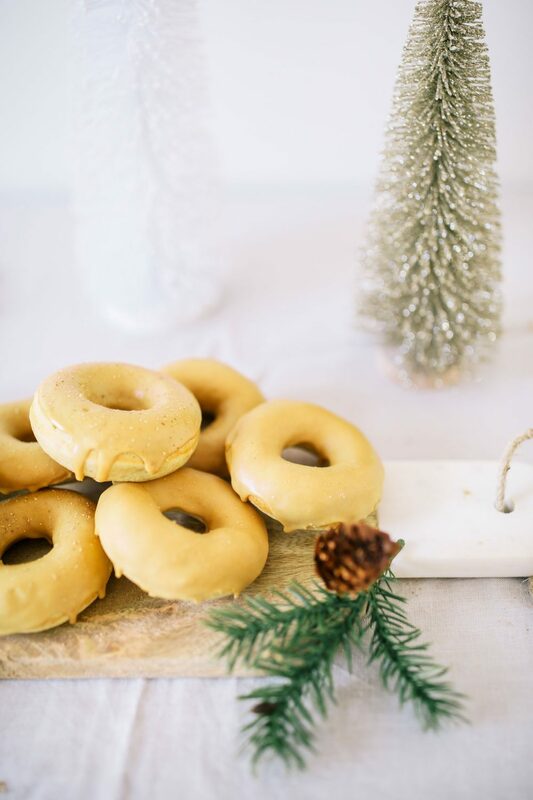 That is, until these eggnog latte donuts. 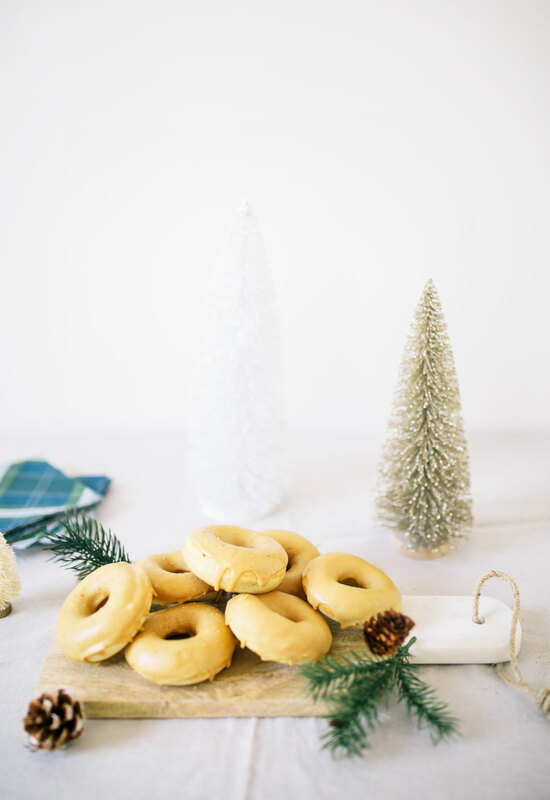 These donuts came about recently when I was wracking my brain trying to come up with holiday recipe ideas. I was feeling SO uninspired that I honestly thought that I’d have nothing unique to share this year with you guys…and the thought of that was terrifying me! I almost made an eggnog latte JUST to have a post up, but my mom shook some sense into me and told me that I couldn’t make an eggnog latte…they’ve just been done too much! 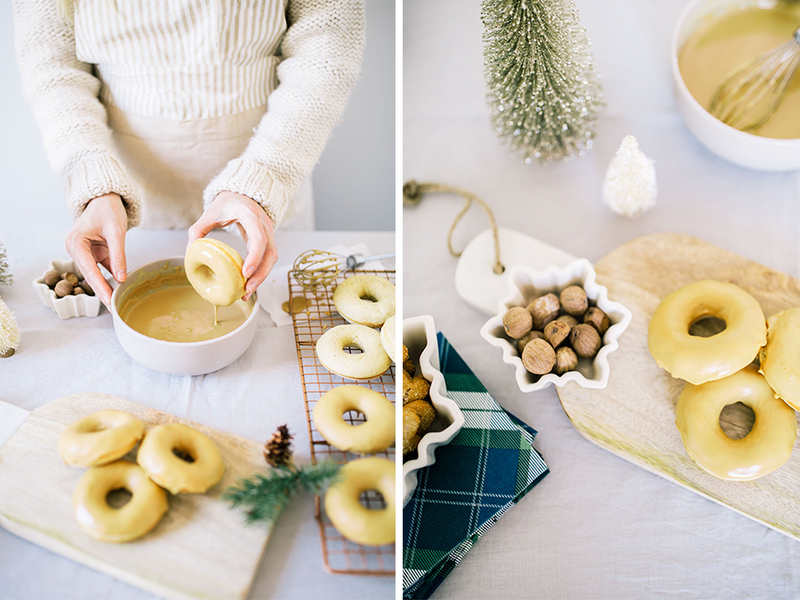 I was still stuck on the eggnog latte idea when it hit me…eggnog latte donuts! 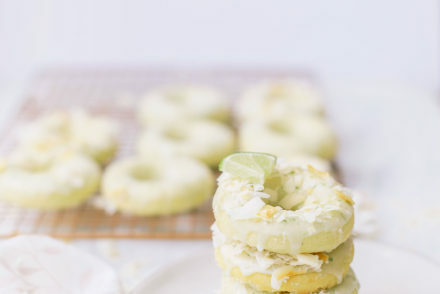 I had so much fun making these coconut key-lime donuts this past summer and had a feeling that an eggnog latte in donut format was going to be something special. I also couldn’t find anything on the internet similar, so I was good to go! And you know what? 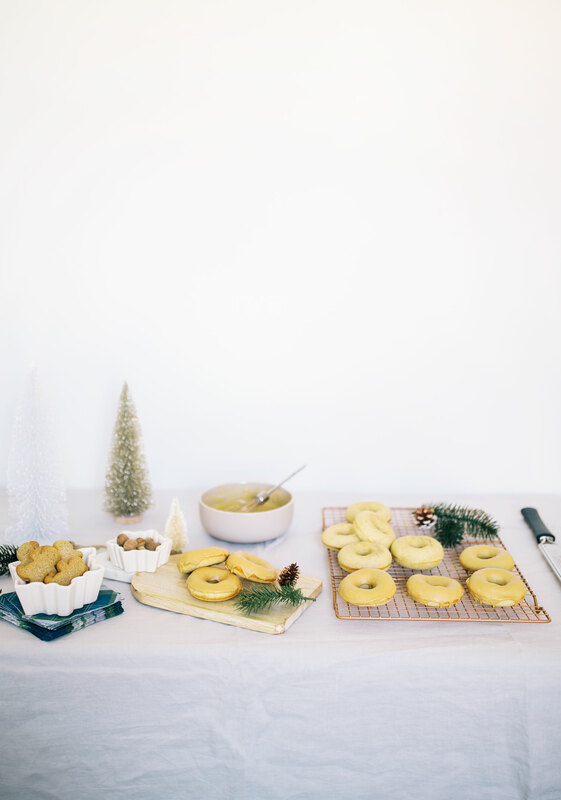 These donuts, that took under 30 minutes to prep and bake, are from here on out my signature holiday dessert…they’re that good my friends! 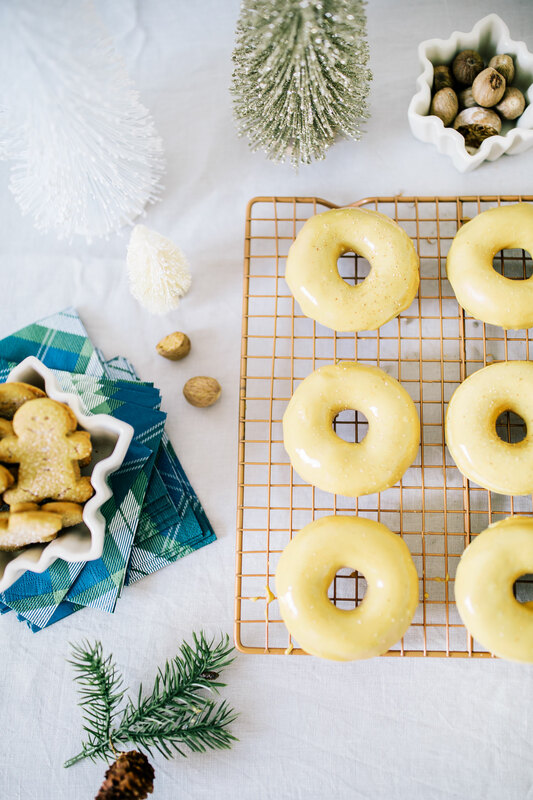 Preheat the oven to 425 degrees F. Lightly grease a doughnut pan. In a medium-size bowl, whisk together the flour, sugar, baking powder, cinnamon, nutmeg and salt. In a separate bowl, whisk together eggnog, eggs, vegetable oil and vanilla. Whisk the wet ingredients into the dry ingredients. 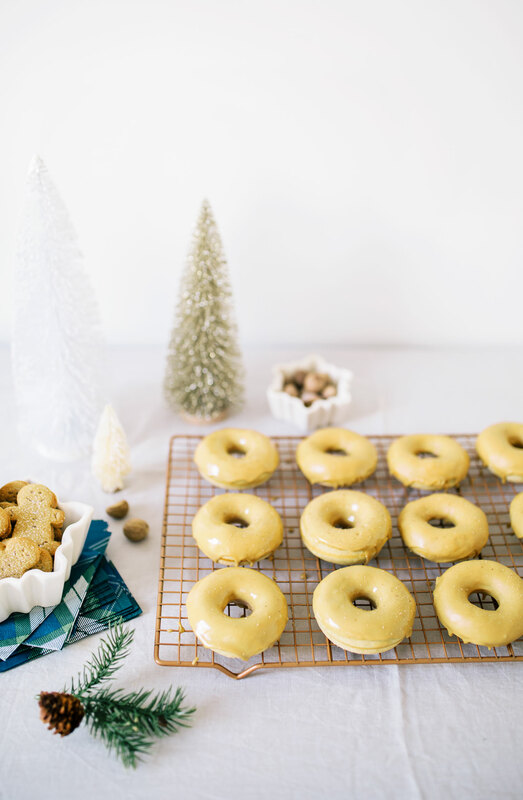 To make the glaze, mix espresso, vanilla, salt and powdered sugar into a bowl big enough to dip your donuts directly into. 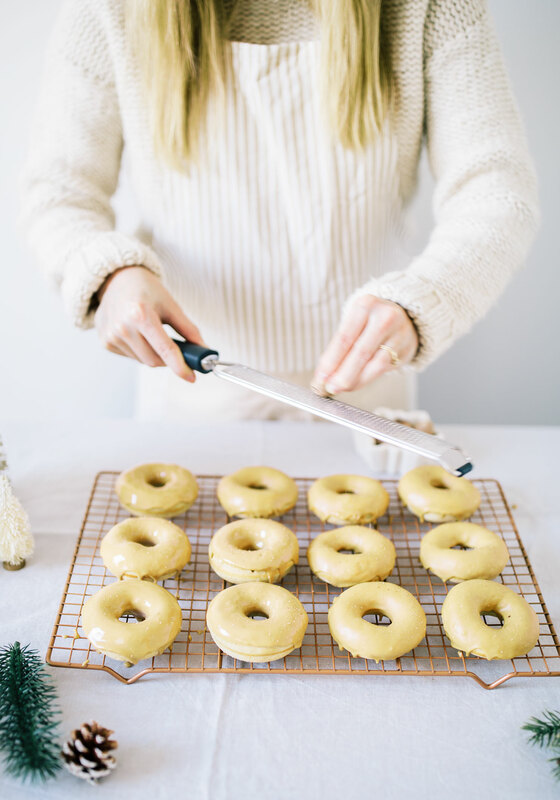 Whisk until silky smooth and a consistency that the glaze will easily adhere to the donuts. 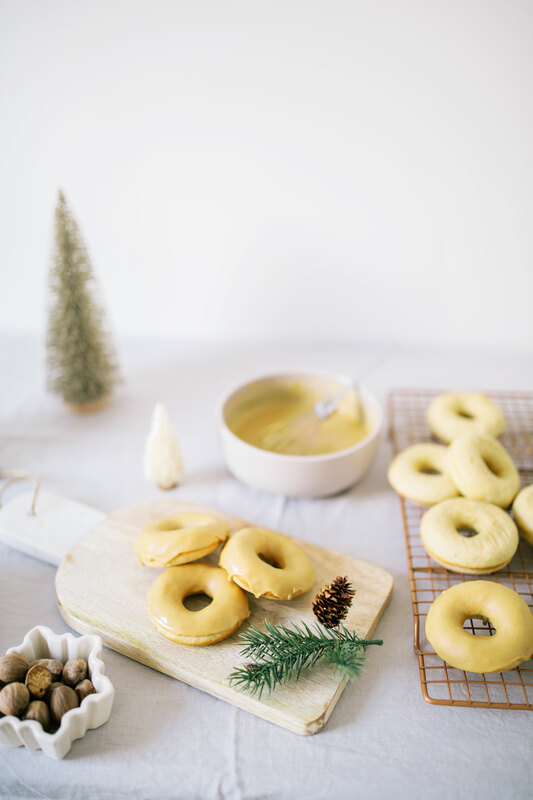 Once donuts are cooled, dip each doughnut halfway into the glaze and allow the glaze to set.